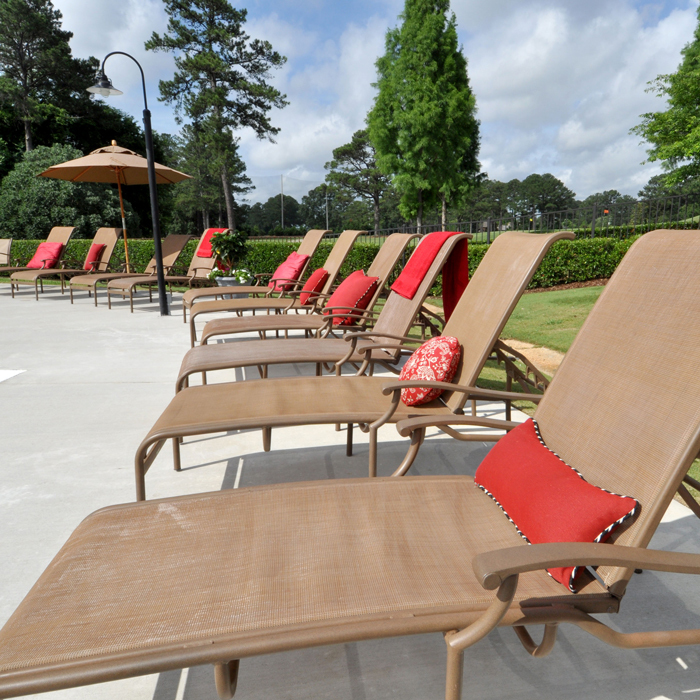 What Is The Most Durable Outdoor Fabric & Why Is It Durable? Defining Durability Objectively. What's True & What's Not? Outdoor fabric needs to be rugged enough to stand up to the wear and tear of the elements and stay beautiful, even after years of enjoyment. High quality outdoor fabric isn’t cheap, and there’s nothing worse than spending a lot of money on fabric that doesn’t hold up and needs to be replaced next season. Getting the most out of your investment takes a bit of research before you commit. Take a look at a description for almost any outdoor fabric and you’ll likely see the word “durable” pop up somewhere in the sales copy. However, when it comes to comparing fabrics, what does “durable” really mean, and is there an objective explanation of durability that you can count on? 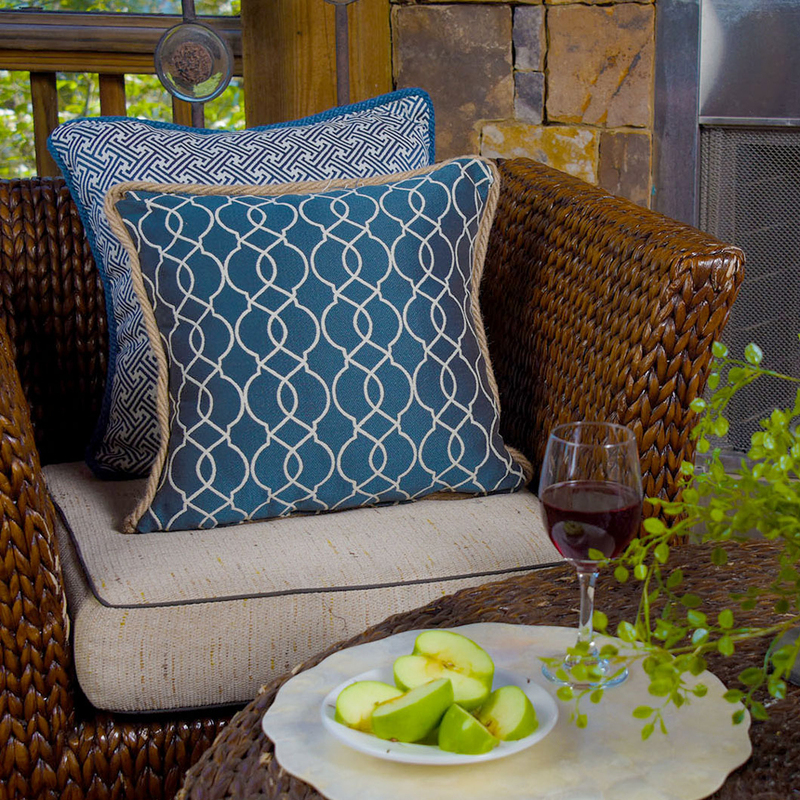 Here’s a quick guide to choosing truly durable outdoor fabric that will last for years to come. There are many textile standards throughout the fabric industry that test fabrics for durability. Upholstery fabric durability is most often tested for “abrasion resistance,” which is a measurement of how many times a fabric can be rubbed before showing significant wear (defined as two or more yarn breaks). The “Wyzenbeek Test” is considered the North American standard for testing fabric abrasion resistance. It measures durability in “double rubs.” In a lab, this means a mechanical arm covered in cotton duck fabric sweeps back and forth against the test fabric. In real life, this process equates to sitting down on a chair in a pair of jeans, and then standing back up again -- thousands of times over the lifetime of the furniture. The Wyzenbeek Test compresses that wear and tear into a much shorter period of time. Fabric ratings are decided by how many double rubs a piece of fabric could take in the lab before showing signs of wear. The ratings range from “delicate duty” (less than 3,000 double rubs) to “extra heavy duty” (more than 30,000 double rubs; these are fabrics designed for the daily punishment of airport or hospital waiting areas). Phifer’s GeoBella® Fabrics have been tested to withstand a minimum of 30,000 double rubs, classifying it as an extra heavy duty fabric that will withstand many summers of lounging poolside. Looking for something a little stronger? Our Phifertex® line of Designed Fabrics has tested off the charts with a whopping 100,000-plus double rubs, putting it a step above and beyond even the toughest extra heavy duty fabrics! For fabrics that will be put under pressure (for example, a sling chair fabric) there are different tear tests to measure how much force a fabric can take before it tears. These tests are also conducted in a lab. Some of these tests use a falling pendulum, and others use a machine to clamp and pull the fabric at different tensions with weights. It’s not as common to see tear-resistant ratings on fabric, but most fabric sold as upholstery fabric, such as GeoBella®, will have a 50 lb. (22.7 kg) minimum, which means it took at least 50 lbs. (22.7 kg) of pressure to cause a tear. Durable outdoor sling chair fabrics will have a much higher minimum. Our Phifertex® fabrics have a 100 lb. (45.4 kg) tear minimum, whereas our ultra-sturdy Phifertex® Wicker Weaves have a tear minimum that ranges between 120 and 125 lbs (54.4 and 56.7 kg). What Makes a Fabric Durable? Now that we know what durability is, it’s time to look at the factors that make a fabric durable.When you’re deciding on an outdoor fabric, this list will help you determine whether you can count on it to last. Fiber Content: Different kinds of fiber -- both natural and man-made -- have different qualities and strengths. Think of the difference between a delicate cotton and a vinyl-coated polyester. For outdoor fabrics, man-made fibers like coated polyester, acrylic and olefin are common because they tend to wear better than natural fibers and are more naturally resistant to moisture. Yarn Thickness: Before a fabric is woven, yarns are spun to a specific thickness. As you might expect, thinner individual yarns create a more delicate fabric than thicker yarns. Weave: The weave is one of the most important factors in fabric durability. Within the fabric’s weave, there are several sub factors that can affect durability. The direction of the threads in the weave can make a fabric stronger or weaker. A plain weave won’t be as strong as a twill weave, where the yarns are woven in different directions to help spread the pressure. The density or thread count can make a big difference, too: the more yarns per inch, the stronger the fabric. Finally, the regularity of the weave is important, as well: making sure that all of the fibers are of the same thickness will eliminate potential weak spots in the fabric. Washability: If a fabric can’t cope with regular cleaning, it won’t last long, no matter how it’s made. Good, durable outdoor fabric should be easy to clean with simple soap and water or a diluted bleach solution. Color fastness: For outdoor fabric, having the color “baked into” the yarn, either by using solution-dyed yarn or a colored vinyl coating, is one way to ensure that it will stay vibrant -- even after heavy use and general cleaning. 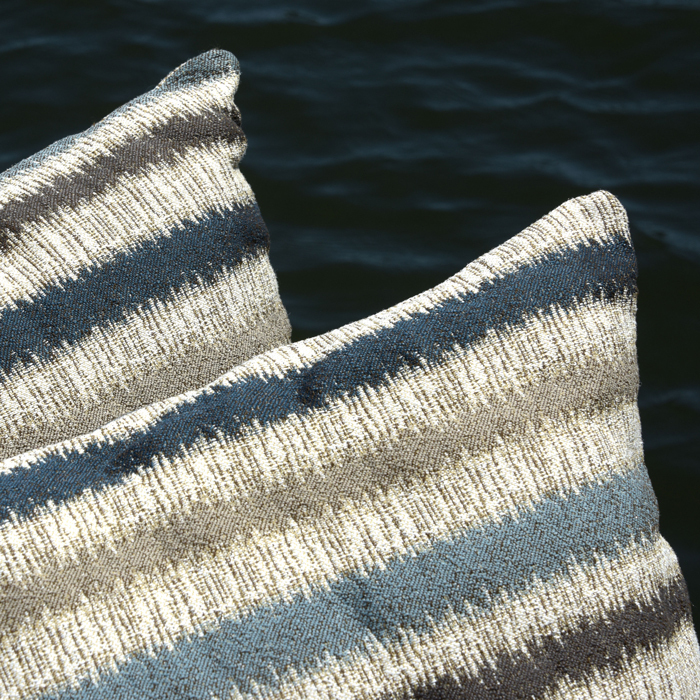 Phifer’s GeoBella​ line of Designed Fabrics is solution-dyed, giving you confidence that your outdoor throw pillows, curtains and more will stay beautifully brilliant for years to come. 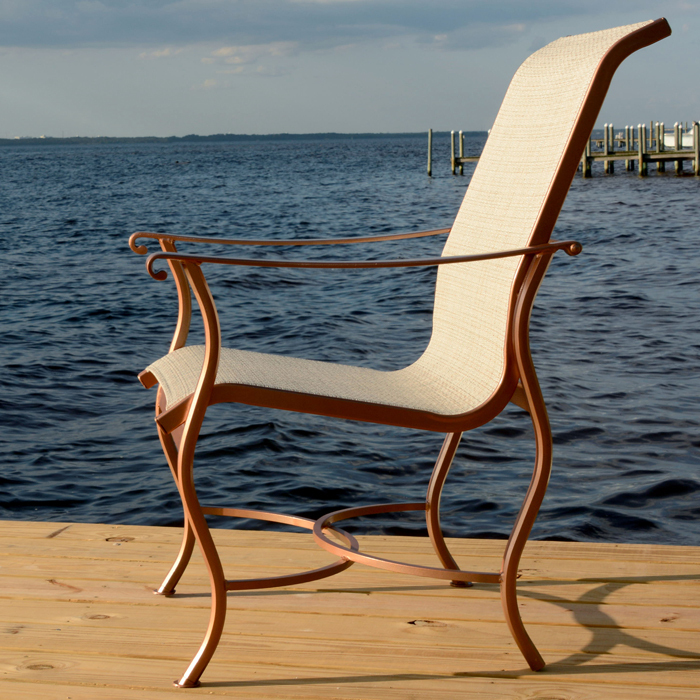 UV resistance: Sun fading is a serious problem for outdoor furniture. As a result, untreated fabric can even break down and lose its original durability with too much UV exposure. Mold and mildew resistance: Microbes and mold can eat away at untreated outdoor fabric and can shorten its useful life by years. Making sure fabric is treated to be resistant to these occurrences can ensure a longer fabric life. Can where you live affect the wearing and aging of durable fabric? To answer that question, it’s important to look at some of the most common factors that can cause fabric to weaken overtime. This factor doesn’t necessarily depend on location. Normal wear and tear is something everyone, everywhere deals with. Wear and tear can be caused by the pressure a fabric is exposed to. For instance, is your fabric used in an application where it is expected to bear body weight? Is the fabric under friction? Are there pressure points where the fabric rubs against a metal component of the furniture? Finally, how often is it used? Furniture fabric that sees a lot of traffic and heavy use will obviously begin to show wear faster than fabric that’s only used a few times a year. This is one factor where geography really makes a difference. Some otherwise durable fabric types can start to degrade over time under the punishing UV rays in areas where it’s hot and sunny year round, such as states in the Southeastern and Southwestern portions of the U.S. Durable outdoor fabric should be treated for UV resistance to give it the longest possible life. Enjoying your outdoor furniture in the sunshine is exactly what it’s made for -- so make sure it can stand up to the heat! Places with very damp or humid climates (like rainy Seattle or swampy areas like Louisiana and parts of Florida) can cause some fabrics to develop problems with mold, mildew or rot. Not only is this unsightly, it’s a potential health hazard. The problems that stem from dampness can cause the fibers of the fabric to weaken and tear more easily. If your location gets a lot of rain, it’s very important to choose a fabric that is water resistant and will air-dry quickly after a shower. Fabrics with built-in treatments like Microban® antimicrobial product protection, which protect against mold, mildew and bacteria, can also significantly extend the useful life of your fabric. Which Outdoor Fabric Is Most Durable? Olefin is much more water resistant than canvas or cotton duck, which are natural materials sometimes used for outdoor cushions. Even when cotton is “waterproofed” with a spray or treatment, it tends to absorb more water and is still particularly prone to mildew. Olefin wicks moisture and air-dries rapidly. 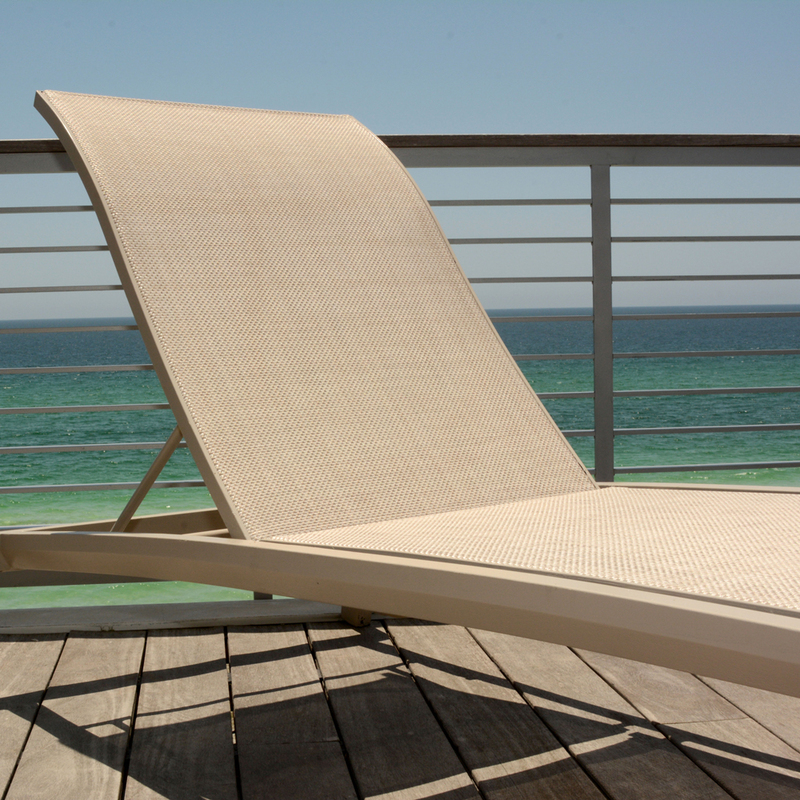 Olefin also edges out the more common man-made acrylic or polyester-blend outdoor cushion fabrics in durability. It is much less likely to pill than either fabric, and also has a higher abrasion resistance. For olefin fabrics, we offer the magnificent GeoBella® range. Whatever your aesthetic, these beautiful and hard-wearing indoor/outdoor fabrics will fit the bill. You can choose from an expansive and inspiring range of weaves and patterns, from rich damasks to classic stripes to bold geometrics. GeoBella​ fabrics are eco-friendly, 100% recyclable, and GREENGUARD® Certified. They are also water-resistant, UV/fade-resistant, and easy to clean and care for. Woven vinyl-coated polyester mesh demonstrates dimensional stability and strength and is suitable for even the toughest outdoor furniture applications. It won’t tear or split under weight and pressure, and features exceptional abrasion resistance, too. It repels water and air-dries quickly, while the PVC coating that covers its polyester core keeps water from ever soaking into the yarn. This means that its structural integrity won’t be compromised in freeze/thaw cycles. Our Phifertex® range of vinyl-coated polyester fabrics provides unbeatable durability and dimensional stability, even in high-pressure applications like sling furniture. Phifertex​ fabrics are UV/fade resistant, water resistant and feature Microban®, a powerful antimicrobial treatment infused right into the fabric. Microban​ won’t wash or wear off, so it will keep fighting mold, mildew and bacteria for the lifetime of the fabric. GREENGUARD® Certified Phifertex​ is also very simple to clean and maintain. This is a profoundly functional fabric, but style never takes second place. You can choose from a dazzling array of designs, from nature-inspired wicker weaves to sophisticated and intricate tapestries. Phifer​ sells durable outdoor fabrics that combine designer styling with high performance. You never need to compromise between “tough” and “gorgeous” when you’re choosing a Phifer​ Designed Fabric. Now that you’ve been armed with a lot of technical research, it’s time to reward yourself with a bit of inspiration. The Phifer​ Outdoor Fabric Visualizer tool makes it fun to experiment with the Phifer fabrics that catch your eye. Use our sample images to layer your favorite designs and textures together to see how they play. It’s an exciting way to “try before you buy.” Check it out and you might just find a new combination that surprises and delights you! Do you have specific questions about Phifer’s durable fabrics and how they’ll perform for your DIY project? Don’t hesitate to get in touch! We are standing by to talk with you over phone, email or live chat. We’ve got all the answers you need and can provide expert advice about choosing the best and most durable outdoor fabric for your design. If you need a hand sourcing your favorite Phifer fabric, we can introduce you to retailers online or in your neighborhood who have everything you need!